From neutral styles with organic undertones to bold accents and matt finishes, bathroom design has never felt so luxurious. At Doug Cleghorn Bathrooms Leeds we work with an array of stylish manufacturers, ensuring your new bathroom is in keeping with your taste and the current trends. With lifetime guarantees available including working parts, if you’re looking to transform your bathroom this Summer, here are 10 handpicked brands available at Doug Cleghorn Bathrooms Leeds. A prominent designer of British bathroom brassware, manufacturer VADO provides high-quality taps, showers, accessories and fittings in over 60 countries worldwide. With popular products to include traditional mixers and more current designs such as waterfall style spouts, VADO also looks to create products that significantly minimise environmental damage. With over 125 years of design, quality and performance, Swiss brand Laufen is a highly traditional bathroom manufacturer. Combining Swiss sophistication with precise Italian design, Laufen has become one of the world’s leading companies for unique bathroom products. Create a stunning and contemporary bathroom with the brand’s fabulous range of washbasins, toilets, bidets, bathtubs, shower trays, whirl systems, furniture, accessories and faucets. On a mission to make bathrooms beautiful is HiB. Their exclusive range of cutting-edge bathroom products can be found at Doug Cleghorn Bathrooms Leeds and features the very best in bathroom mirrors, cabinets, furniture, ventilation and lighting. Bisque is a manufacturer of luxury radiators and their designs can be found in a wide variety of locations such as The Shard and Highgrove House. Beautiful and efficient, the brand’s huge range is crafted in the most enticing styles, colours and finishes with over 300 product lines available for delivery. Establishing themselves as ‘the freestanding bath experts’, Clearwater Baths ensure their range is suitable for all bathroom styles and spaces. Featuring bold designs and matching basins, a Clearwater Bath is the perfect addition for the ultimate in luxurious bathing. Verona Group is one of the UK’s champion distributors of tiles and mosaics in natural stone, glass, porcelain and ceramic. 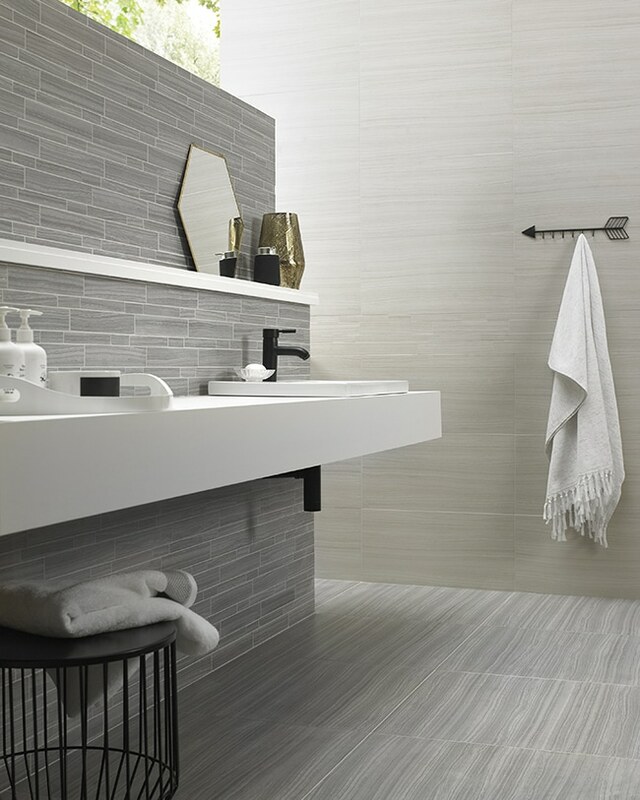 Specialising in bathroom walls and floors, Verona Group is constantly striving to ensure their range of high-quality tiles reflect the current trends and offer something to suit all tastes. Burlington Bathrooms present an outstanding bathroom collection which features stylishly contemporary accessories, mirrors, showers, baths, taps, WCs, basins and furniture. Elegant and modern, Burlington Bathrooms is a firm favourite amongst our many happy customers. Designers of decorative radiators with excellent functionality, Zehnder are also experts in achieving a comfortable, healthy and energy-efficient indoor climate. From your kitchen to your bathroom, Zehnder radiators are available in more than 700 colours and finishes but if you’re looking for something a bit more bespoke, custom shapes and sizes are also available. VitrA create bathroom solutions that blend unique ideas with sustainable designs. With a worldwide reputation for producing high quality and elegant bathroom furniture, their products are available in a wide range of designs and finishes. Utopia Group is the UK’s leading manufacturer of complete bathroom suites. Offering choice and flexibility with an emphasis on maximum storage, we showcase a broad range of Utopia Group bathroom furniture at Doug Cleghorn Bathrooms Leeds. We hope you have enjoyed reading our latest blog; 10 handpicked brands available at Doug Cleghorn Bathrooms Leeds. When we’re not appreciating impeccably designed bathrooms, another great passion of ours is the latest in product innovations. If you have an interiors project coming up, our range of sustainable and design-led products will help to enhance the overall look and feel of your new bathroom. It’s also great to share ideas with like-minded people and so we always keep a fresh supply of filter coffee on the go in our Leeds based showroom. For more information about any of the products mentioned in this blog, please get in touch.